– Or maybe you found her through an article like this one. 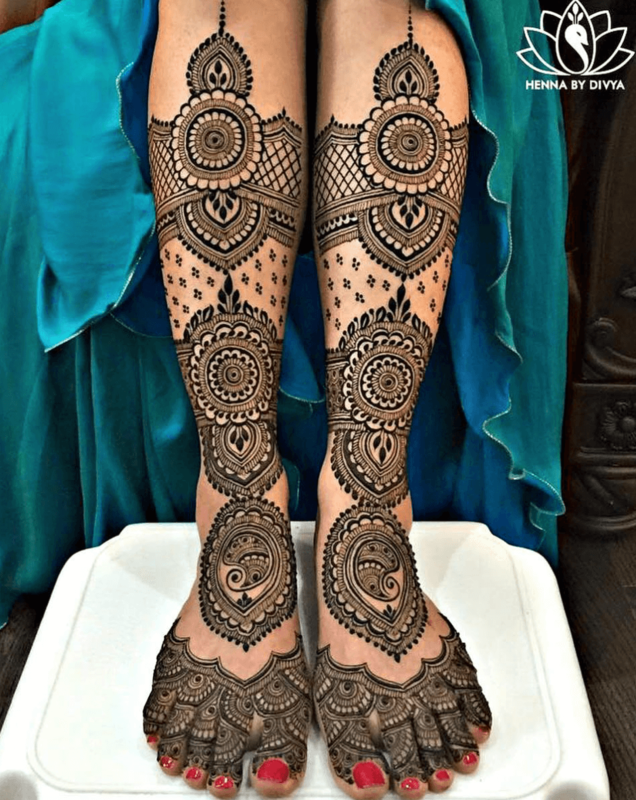 Either way, she’s one of the most prolific henna artists out there, and with an artwork style that’s equally as distinguished, it’s hard to not come across her in your search of mehndi designs! And if you know us, you know that we’re fans. In fact, ever since we first came across her work, we’ve been reposting her artwork on our own Instagram page and our audience has LOVED it. 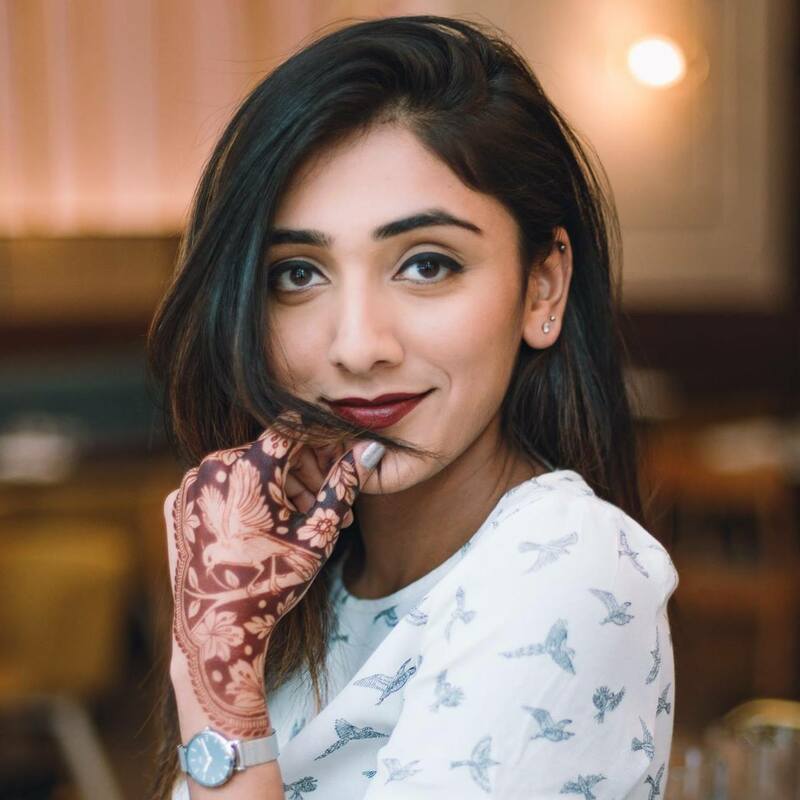 Since then, we’ve built a little bit of an internet friendship with the young henna prodigy, and recently had a chance to sit down and chat with Divya for this in-depth interview. Given her candid, bubbly personality that’s equal parts creative genius (I mean, just look at those designs!) and business-savvy, we thought it might be awesome to not only speak from vendor-to-potential-client or fan, but also from vendor-to-vendor. 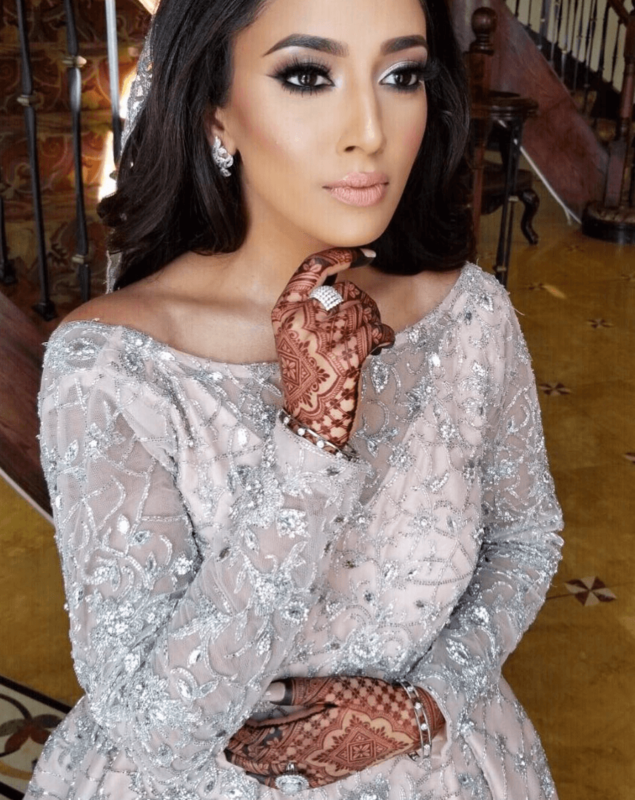 So, we included questions from what’s on her bucket-list, to what future brides should look for in their henna artist, all the way to tips on breaking into the wedding industry. But let’s start with the basics, shall we? Regardless of whether you’re henna-artist shopping, an interested fan or an aspiring vendor yourself, it’s always nice to get to know the person behind the business. Educational background, why you chose that program: BSc. I loved chemistry in High School and was aspiring to become a pharmacist, hence my program choice. Turned out that university chemistry was nothing like high school chemistry. I disliked it with a passion! Timmies or Starbucks? If I had to be practical, tims. If I had to do it for the ‘gram, Starbucks. Bollywood or Hollywood films? Depends on genre. I like Bollywood’s sappy rom-coms but love hollywood’s thrillers/psychological suspenses. One hidden talent: I can eat Pani Puri everyday without getting tired of it. What’s at the top of your bucket list? I’ve always wanted to learn Archery. It’s a close tie between that and seeing Hot Air Balloons at sunset in Cappadocia, Turkey. The first occupation you thought you’d be as a child: This is very odd and so out of line but… when I was really, really young, I wanted to be an airhostess. Tell me something that is true that very few people agree with you on? EQ > IQ. Can’t say for certain that “few” people will agree with me on this but it’s something I could see as being debatable. How did you get started with art or henna? Art and henna has been around me from a very young age, I guess it’s kind of grown with me or I have grown with it. Growing up I kind of saw this art everywhere, when you are a child growing up in India you see henna being done every occasion you can pretty much think about. So, I sort of grew up loving art and seeing henna as well, which is a form of art that I could pick up. When my family moved to Canada my mom had a couple of supplies that she had gotten from her friend who was also a mehendi artist, and my mom taught me how to mix my own mehendi paste. I had a couple of friends here who let me practice on them because it was such a new thing for them and I kept doing that for many years. It wasn’t until university that I sort of thought of getting into it and making it professional. What are some choices you made that made you who you are? I think one of the things that I can proudly say is that I have always taken opportunities and I have never really backed down from taking opportunities. Starting henna at such a young age, there were many at times I would have to take a leap of faith, for example, choosing to take a booking or to go and work at a charity event. Being 11 or 12 years old at the time, generally it wouldn’t be something that you think about doing- or maybe your parents don’t allow you to. So, a lot of the things that got me to where I am right now happened because I had the opportunities to take these bookings from such a young age and grow with it. Future brides and fans alike, this is for you! 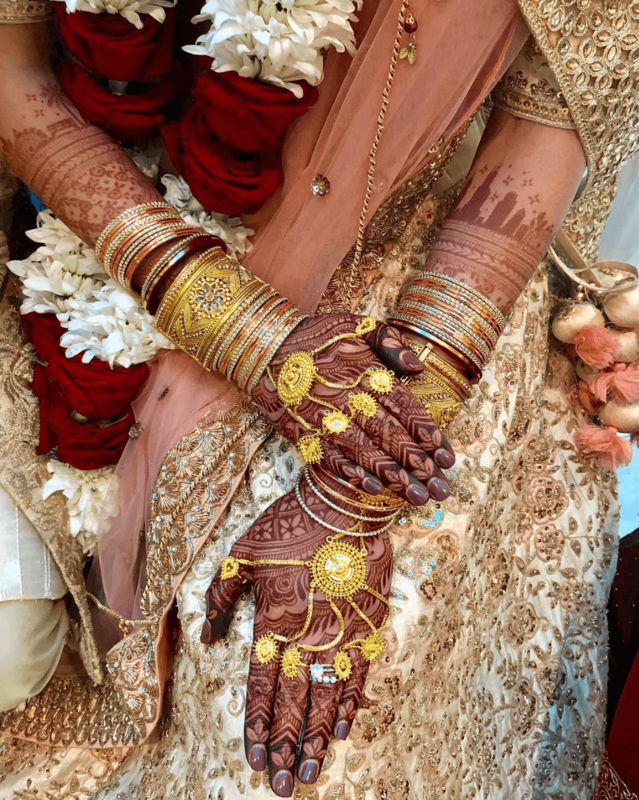 We were interested in hearing about the henna artist’s perspective, and Divya answered the following questions for us to help bride’s understand a little bit more about the ideal relationship between a client and a mehndi artist, including what leads her to doing her best work! In an industry as busy as the wedding industry, we seldom get the chance to hear from the vendor themselves and what things are like on their end of the service. Plus, Divya dishes on her recent trip to India, and gives us an interesting lens on the difference in the henna scene. What unique perspective does a henna artist have? When you’re an artist, irrelevant of the art that you’re pursuing, you tend to gradually start seeing different forms of art everywhere, in everything and everyone. From a henna artist’s perspective specifically, my eyes naturally gravitate towards designs, whether it’s design on tiles in a bathroom floor or a photo frame in someone’s living room or the print on someone’s clothing or a tattoo someone is wearing or simply… the small carvings that form beautiful peacocks and elephants on my grandma’s little temple in her room. What did you learn from your recent trip to India as a cultural hub for henna art? There is, no doubt, so much talent in India when it comes to henna art. I mean, a lot of the inspiration artists get comes from the work of immensely talented artists there. I definitely do believe that the talent in India is undervalued, however. This is, in no way, to point fingers at anybody but simply just from what I’ve experienced. What does your ideal client-vendor relationship look like when working together? I love raw conversations and there have been so many instances where I’ve learned about life, relationships and career from clients I’ve spent time with. 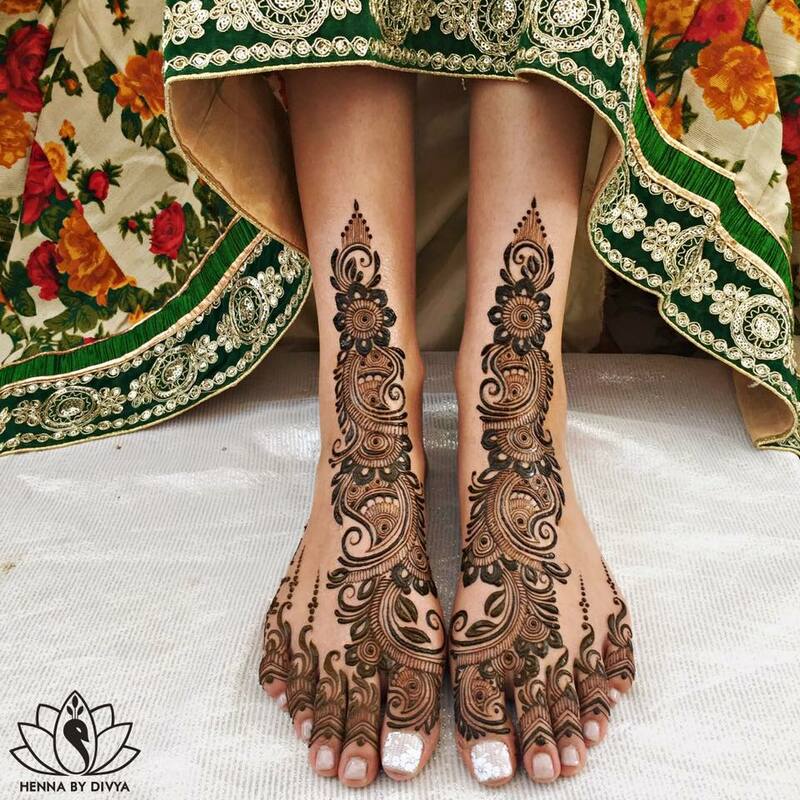 What advice do you have for future brides looking for the best henna artist for themselves? Rather than choosing the “best henna artist” in the market, choose the artist that best fits your unique style. This is, of course, easier said than done because it is highly possible that the artist a future bride admires may not be feasible for her to hire for the prime reason that the artist may be in a different country all together. Having said this, it is important that if you choose to work with an artist who is in your city, you go in with an open mind and are able to work with their level of expertise and style. If you choose to show them a photo of a design you love, a photo that may be the work of another artist, it’s not a problem, so as long as you also give them creative freedom and don’t expect that the design be copied exactly. Speaking from solely the henna artist’s perspective, I know one of the obstacles a vendor sometimes faces is trying to replicate the work of another artist when working with a bride. I’ve done some of my best work when a bride has given me amazing ideas along with creative freedom. As a wedding vendor what are your favourite things about the industry? I love that the industry is filled is ever-growing! Every year, there’s always something new and as an artist, change is always such a blessing. I’m always striving to recycle old styles and this gives me an opportunity to reinvent new designs and constantly be inspired when future brides request new things! I think the chaos for sure. 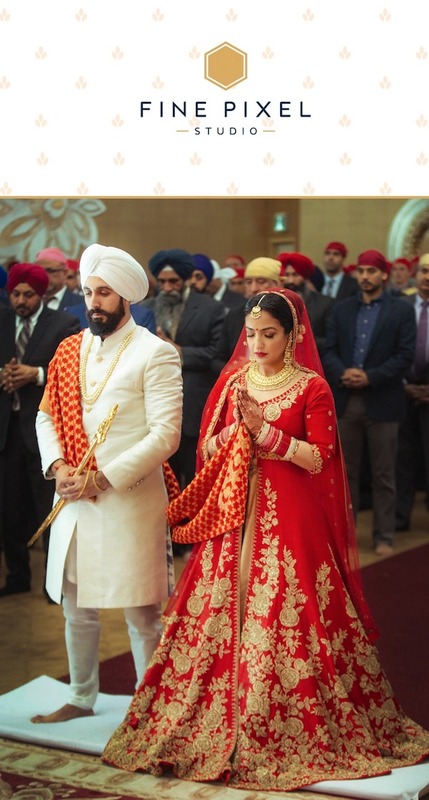 As many know, South-Asian weddings are undoubtedly overwhelming. Along with all the grandeur can come a whole lot of stress for the couple and their families. There are so many people, which means many more opinions. As a vendor, I sometimes (not always!) see a fair share of the stress and tension when I’m working on my bride and this can sometimes translate to an unpleasant experience for both the client and vendor. One of the first things I tell my bride when I sit down to do her mehendi is to enjoy the process and to really take it all in! Alright vendors and curious readers! You know that we just had to ask Divya about her business advice. 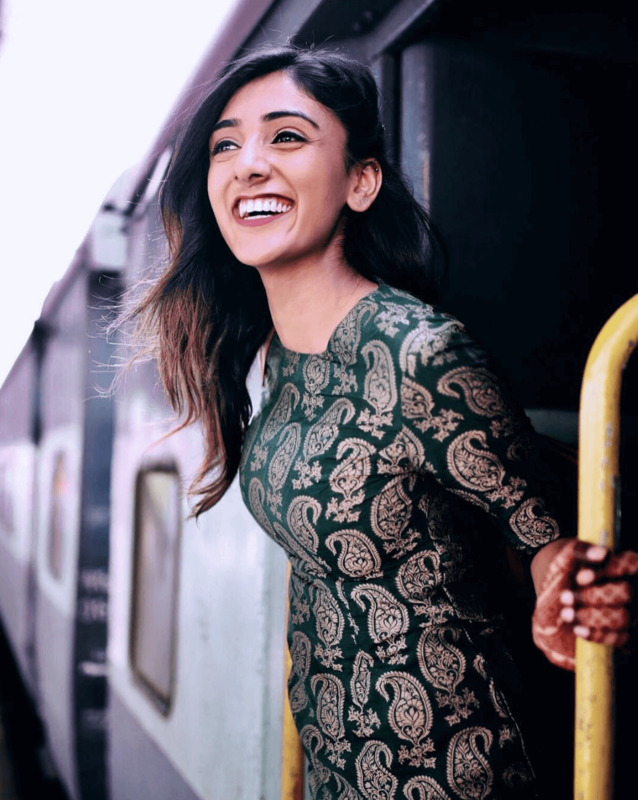 After all, this is a young, 23-year-old who has one of the most in-demand services in the South Asian wedding industry. And as notorious as it is in its abundance of vendors and competition, we think that’s pretty amazing. 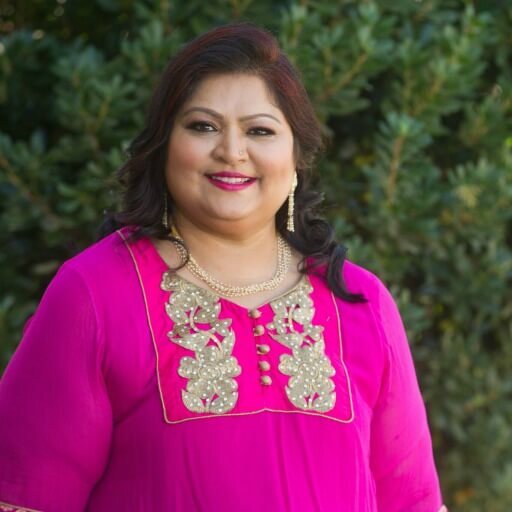 Plus, with the evolution of the wedding industry, we have seen Divya stay on top of her game by innovating her services and artwork, so whether you’re a seasoned veteran in the industry, or a newcomer, we’re all interested in what it takes to build a thriving wedding business. How did you monetize your talent/build your business? I get asked this question a lot and frankly, there really is no specific step I took which suddenly made my hobby into a business.. it was more of a gradual process. When I first started doodling with henna, I practiced on my mom, my grandma and a couple of my friends. Inevitably, when my mom wore the henna to work, she would get asked who had done it! And so.. my first proper “henna booking” was a bridal booking for my mom’s coworker’s daughter. Getting the bookings I did when I was younger happened in a somewhat Domino effect. I would take on one booking and then a guest at that wedding would go on to become my future client and so on! I went many years just taking clients through referrals and getting tons and tons of practice that way. As I slowly began to slowly build a portfolio from just gathering photos of my work, my friends urged that I put my work up on Facebook. After Facebook, it was Instagram and once Instagram took off, I had a website and before I knew it, I was getting inquiries pouring in. The rest just fell into place! When did you realize this was your career choice? To be frank, it never was. I had always planned to do this on the side. It was partly when I realized that I couldn’t see myself pursing what I had studied without being miserable and mainly when I realized I could do this and have a sustainable income from it. Up until this past December, I had been doing henna solely on the side while being a full-time University student. Because I got to work all my summer months focusing on my business, it really gave me a good insight into how feasible it was for me to continue doing this after school if I didn’t choose to pursue a career in what I had studied. What tips do you have for networking in the industry and collaborating with other vendors? Work and collaborate with vendors in the industry who you feel have a similar motto and mantra. I am a strong believer of “Your vibe attracts your tribe.” Despite being in the same industry, every vendor has a different purpose and goal. Some may do what they do for the sole purpose that it’s great pocket money while others are side hustling without money being an incentive solely to satisfy their passion. Neither of those two are wrong and there are many vendors who do it for both reasons! Having said that, I just think that it’s important to surround yourself with vendors in the industry who have a similar vision so that you can truly succeed in creating amazing content! How do you disrupt yourself to keep yourself progressive, innovating and relevant? I am constantly looking around and seeing if there is a new pattern that I can absorb and incorporate in one of the designs I create or if there is a new layout that I can use that’s different. When wedding season gets busy and I don’t have time to take those days to design something different because I am working almost every single day for 4-5 months constantly, I have to really take some time off for myself. Whether it’s a couple of hours after my bookings at night or when I am browsing Instagram, I’ll save certain designs. 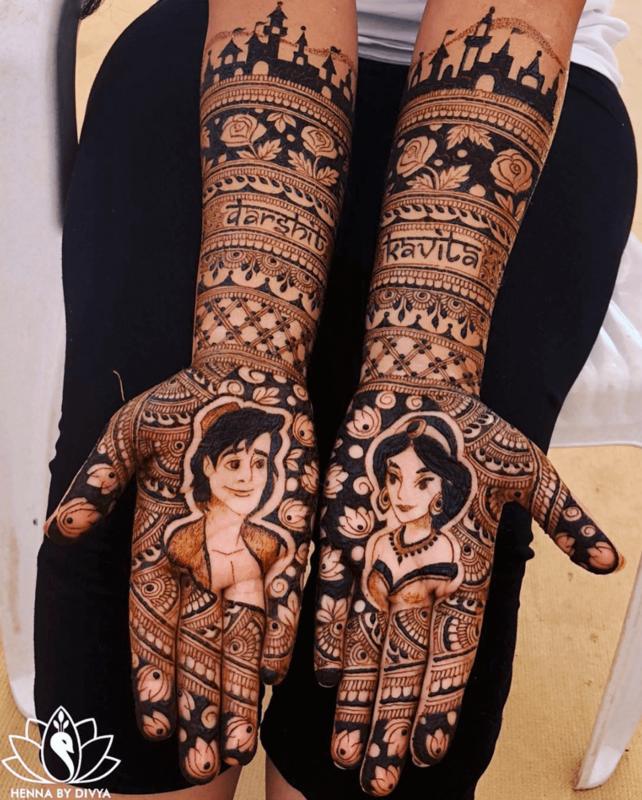 This doesn’t even have to be other mehendi designs, I’ll save designs I see from tattoo artists, on clothing and just prints that other artists have created. And so, having that openness to create something new really keeps me going. I can turn that into a visual thing that I incorporate in the henna. That’s why I like to do consultations with my brides, I find that’s when I can listen to their story and give them ideas if they feel like they can’t come up with something themselves. And that, ladies and gentlemen, is a glimpse into the mind of one of henna’s biggest stars, Henna by Divya. We were so excited to bring this to you, and appreciate all of the candid and raw thoughts from Divya. She made it possible to provide you with so much value in this interview, regardless of whether you were approaching this from a potential client, personal or business standpoint. Alas, we hope you enjoyed it! We know we loved putting this together. Of course, you can find Divya on Instagram or through her website.